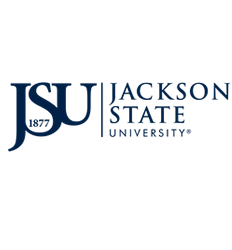 All research and teaching activities involving animals use must be reviewed and approved by the JSU Institutional Animal Care and Use Committee (IACUC) before any investigator obtains animals or initiates research involving animals. The IACUC may approve, require modification of, or withhold approval from a project. Animal use in the absence of IACUC approval is a serious violation of University policy and a violation of federal law. See The Guide for ethical principles, practices and care standards for use of animals in research, teaching and testing. 1. The Principal Investigator (PI) must submit a completed electronic copy of the protocol with the appropriate signatures to the IACUC Office. PIs and all laboratory personnel including those having frequent contact with animals must complete the Animal User Health Survey and taken the online CITI Biomedical Responsible Conduct of Research training course prior to start of the research project. 2. A primary reviewer performs a preliminary review of each protocol as assigned by the IACUC Chairperson. If necessary, the primary reviewer will contact the PI for any significant questions or concerns before sharing with the other members. 3. The primary reviewer provides the protocol to members of the IACUC followed by comments from the Veterinarian and the full committee OR designate member review (DMR). See the PHS Policy for the Humane Care and Use of Animals for committee review details. 4. Once significant concerns are addressed a meeting is called to discuss the protocol. a) Approve the protocol as written. The IACUC Chair or designee will sign the original form, and the Office of Research Compliance (ORC) will assign a protocol number. b) Require minor clarifications/revisions (to secure approval). This process is continued until members are satisfied with the required clarifications, modifications and responses. c) Defer the protocol. The PI must address major clarifications/revisions and resubmit the protocol for review by the IACUC at the next regularly scheduled meeting. d) Disapprove the protocol. The IACUC Chair/Administrator will provide written communication to the PI regarding the committee’s action on his/her protocol. A protocol can be approved for up to three years with annual reviews. Continuation of the project beyond three years requires submission of a new animal subjects form for review by the IACUC. The Occupational Health and Safety Program are managed by the HAZMAT Officer. Required immunizations are administered by the Campus Health Center. Immunization requirements are determined by the identified risk factors and determined medical need. All employees who work with laboratory animals will complete a risk assessment questionnaire to access and address occupational risk. As part of the IACUC Animal Use Protocol approval process, principal investigators must document the training and experience of their personnel. JSU has a mandatory training program based on federal regulations that requires training for all animal users. Specialized and hands on training is provided by the Institutional Veterinarian. Additionally, CITI Program online courses meet USDA and OLAW requirements for training in the care and use of animal in research. Completion of a Biosafety protocol is required for submission with each IACUC protocol. Use of select toxins and agents and genetically modified animals (transgenic, etc) or inducing genetic changes in animals require review and approval by the Institutional Biosafety Committee (IBC) before IACUC approval is granted. The IACUC meets twice a year and as needed. · The IACUC has to be able to review the scientific merits of your proposal; protocols shall have a review for scientific merit, ethical use, and humane care & use. · Provide adequate justification for number of vertebrate animals to be used. · Pain and distress categories are not appropriate. · Approved protocols will be assigned a number which must accompany all animal orders. · Animals must be purchased by from an approved list of suppliers to avoid introducing infections into the facility.